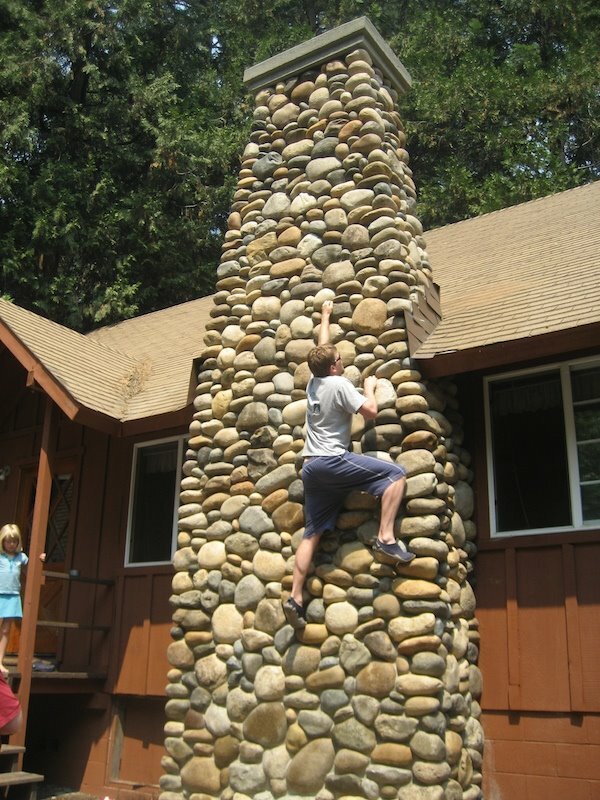 Can a climber resist climbing a chimney of rocks? Probably not, especially when his buddy is encouraging him. Did he plant a flag at the top? ha ha ha! I loooourve rock climbing and would be up their in a split second too!